Business owners who threaten to not hire employees, or worse still, to fire current ones due to ObamaCare = | Name-Brand Ketchup. Idiots. Snot-sucking morons. Nose-cutting-off for face-spiting purposes. The two I’ve heard of so far are Applebee’s (Perkins with beer) and Papa John’s (crappy pizza). 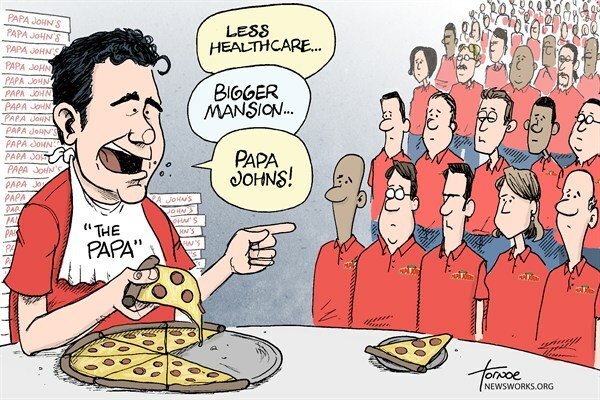 I read that ObamaCare would raise the price of each Papa John’s pizza by fourteen cents. Oh my god, the whole world’s gonna unravel. Gonna break the bank. Putting each of their pizzas in a decent box would cost more than that. Are we supposed to believe that, up till now, Applebee’s and Papa John’s were paying employees they didn’t actually need?! ObamaCare mandates that businesses with more than 50 workers must offer an approved insurance plan or pay a penalty of $2,000 for each full-time worker over 30 workers. So here’s an easy solution for Applebee’s and Papa John’s: Offer a legitimate health insurance plan and you guys are okay! End of discussion. Is this such a hard thing to do? I guess finding a great health insurance plan is so difficult that it will be even worse due to ObamaCare. 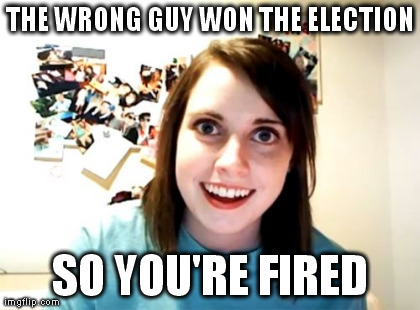 You know what’s going to be irony? As ObamaCare expands, customers will have more money in their pockets. They’ll start doing things like spending more money in restaurants, maybe even at Applebee’s and Papa John’s. And guess what?! They’ll have to… wait for it… HIRE MORE EMPLOYEES. Geez, you don’t need to be Nostradamus to see that coming. There are lots of restaurants. Right-wing wackjob ones can do without my business.